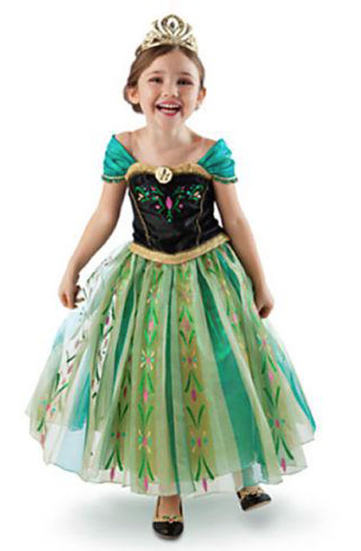 Frozen Anna Dress Costume Just $15.86! Ships FREE! You are here: Home / Great Deals / Frozen Anna Dress Costume Just $15.86! Ships FREE! Look at this beautiful dress. Perfect as a costume or just for dress up play! Order a Frozen Anna Dress Costume for Just $15.86! Ships FREE! Once your little princess puts on this dress she may never want to wear anything else!